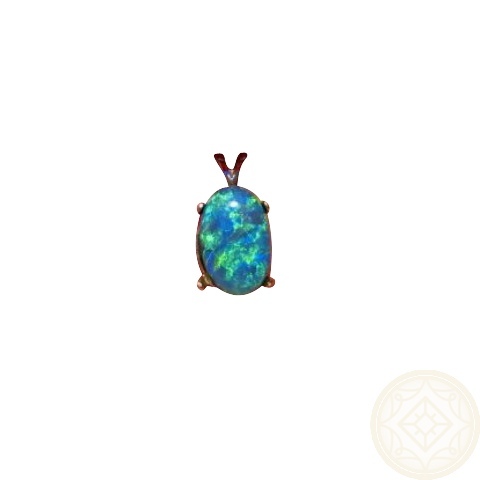 A Black Opal pendant with bright colors of the ocean and set in 14k Gold. In stock and ready to ship. 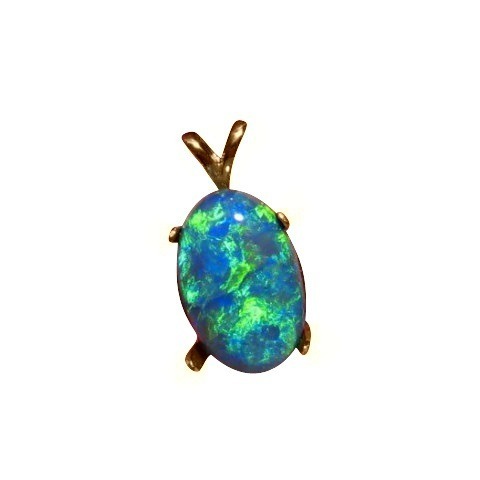 A Black Opal pendant in a simple style so as to feature just the opal. 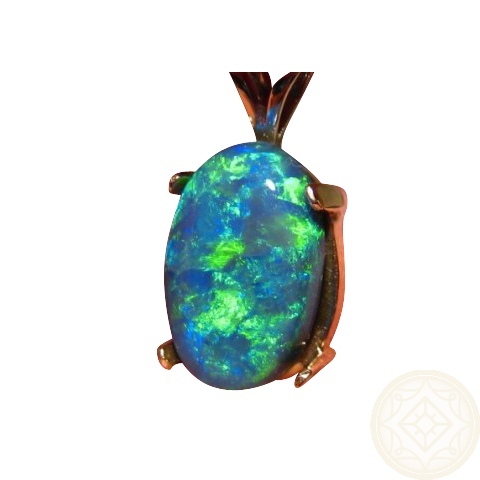 As the stone is not yet set, it can be mounted into a different setting of either a ring or pendant. 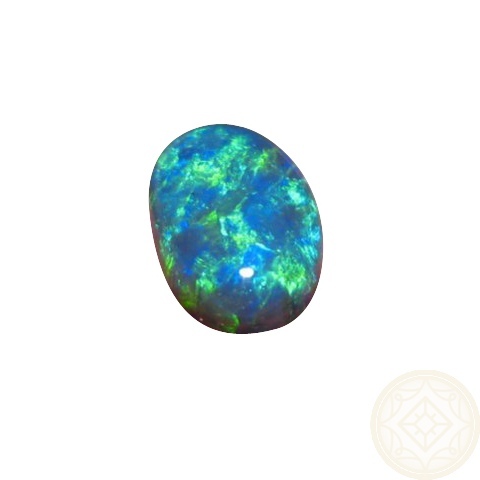 The beautiful ocean colors of Aqua, Blue and Green are very bright over the face of the 3.71 carat oval stone in a floral pattern. Finished with a high polish, it is ready to ship as advertised or can be made in White or Rose Gold and will take approximately 7-10 days to make before shipping. 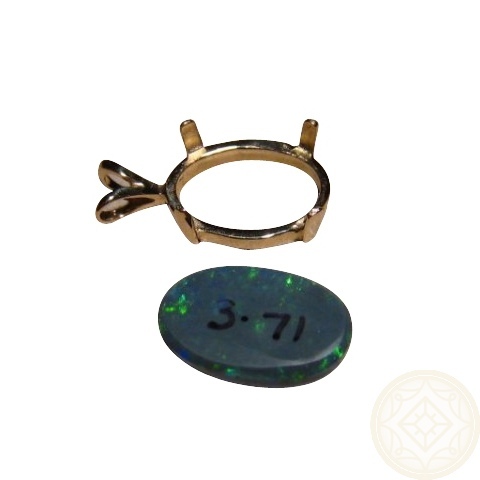 If you would prefer a different setting, inquire through this product for assistance. 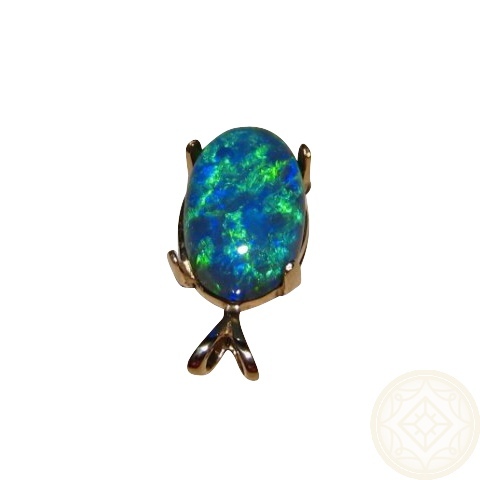 Be assured that no matter which style of setting you choose, it will have a professional finish with the prongs securing the Black Opal.